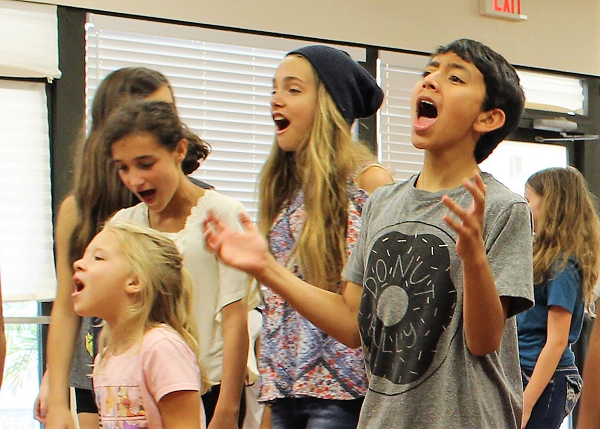 Students learn acting, singing and movement in a creative and encouraging atmosphere. Improvisational games and exercises are at the core of this camp. Students will also gain materials and skills to be able to audition at local theatres. Extension includes private lessons and activities such as Shakespeare, stage combat, directing, makeup and more. 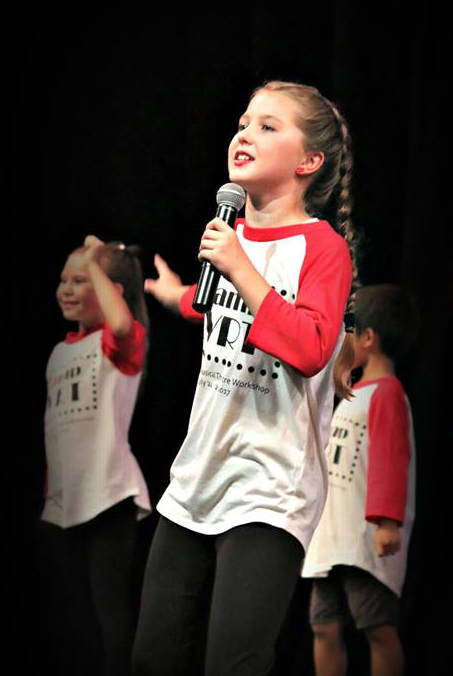 Students learn acting, singing and movement in a creative and encouraging atmosphere. Improvisational games and exercises are at the core of this camp. Students will also gain materials and skills to be able to audition at local theatres. 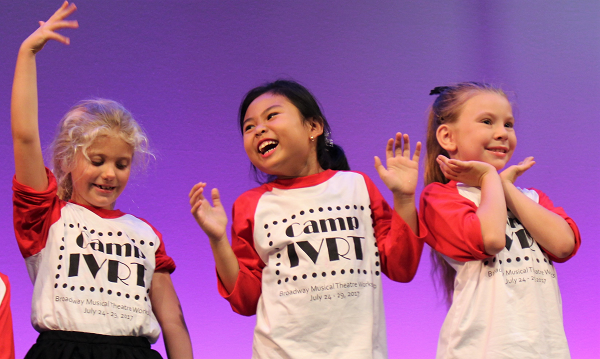 Get onstage with Camp IVRT! 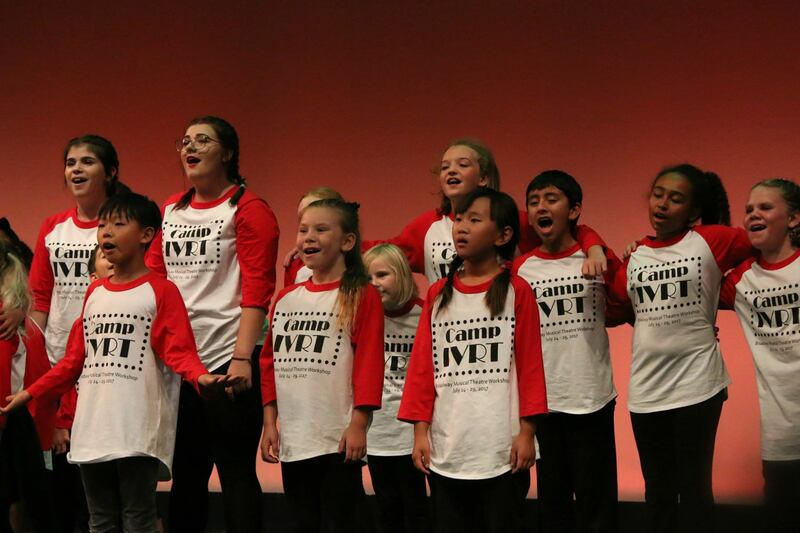 Students will have a blast creating an original play with songs from hit Broadway musicals, making new friends, and working together in a positive, encouraging atmosphere. 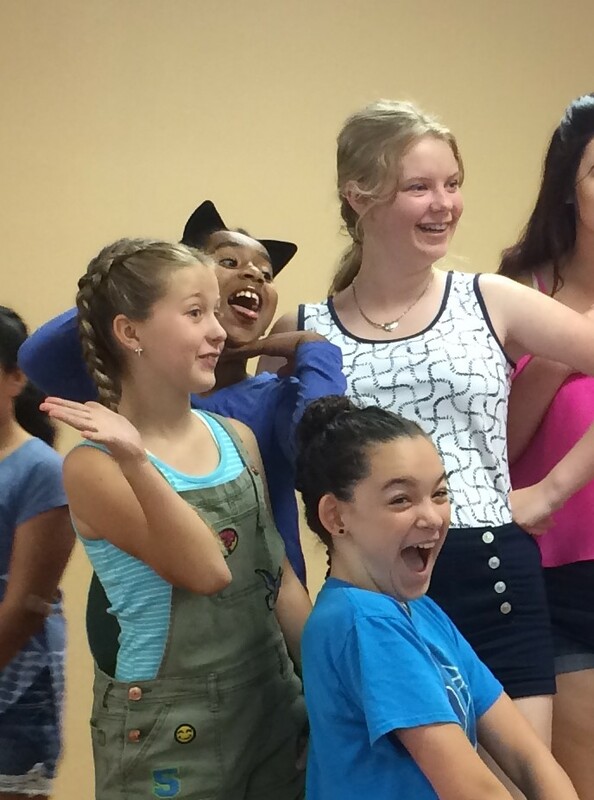 Students will learn the basics of acting, singing and movement in a positive, creative and encouraging atmosphere. Improvisational games and exercises, in addition to singing and movement, are at the core of this camp. Students will also gain materials and skills to be able to audition at local theatres. A final demonstration recital is held on the last day of camp at 11:00am. Please note: no extension on the last day. A final demonstration recital is held on the last day of camp at 11:00am.